Jan. 16, 2019, 10 a.m.
By Christine Schmidt @newsbyschmidt Jan. 16, 2019, 10 a.m. If data is the new oil as the world’s most valuable resource these days, email newsletters are the new social media traffic. But there are still, unsurprisingly, plenty of ways to do it wrong. 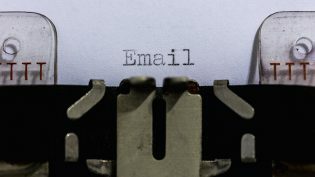 We’ve written about how a legacy news organization revamped its newsletters, reported how more than 11,000 people pay for emailed content on one newsletter platform, and collected tips and tricks on more efficiently building successful paid newsletters, popup newsletters, morning digests, and community newsletters. In case you didn’t get enough newsletter resources in 2018: Here’s a honking huge one to devote your 2019 to. How will you serve that audience? Why do we care about that audience? No, really, what’s the payoff? Who will write the newsletter? Who will do the design/development/production work required, and how will we pay for it? How will you promote and market the newsletter? Link Digest: These newsletters are link-heavy and designed to provide readers with information, but also to drive them to full stories on the web. Goal: Publishers use link-heavy newsletters to drive traffic to their websites. This can be a useful method for promoting digital subscriptions or memberships. Workload: It can vary. Some newsrooms produce RSS-based newsletters that are totally automated, while others create hand-produced digest newsletters. Others have a hybrid approach where editors adapt an automated feed to make sure the generated content is relevant to readers. Example: The Seattle Times’s morning newsletter is curated with about 30 different links. Stories are selected by a Times journalist, who writes unique headlines and summaries for each item. The newsletter is designed to encourage readers to click on the stories, directing them back to The Times’s website. Ideally, readers will eventually hit the site’s meter and become digital subscribers. This nonprofit, digital native newsroom focuses on education, with special emphasis on inequality and innovation in the industry. The weekly newsletter serves as a roundup of the organization’s reporting for the week and curates germane stories. WRITING: The newsletter process kicks off with an opening note from Liz Willen, editor in chief. This piece might highlight a recent story by The Hechinger Report, Willen’s personal observations, or something topical in the news. Meanwhile, senior engagement editor Nichole Dobo writes up any promotions that run in the newsletter. Both Willen and Dobo write their pieces sometime between Thursday and Monday of the next week. EDIT: Willen’s letter—internally referred to as the “Liz Letter”—goes to either the managing editor, Lawrie Mifflin, or senior editor, Caroline Preston, for content and line edits. Dobo’s promotion piece gets sent to Preston for an edit. All new copy for the newsletter is finalized Monday and placed in a folder in Dropbox as Word documents. PRODUCTION: From there, it goes to the web editor, Davin McHenry. McHenry assembles the parts of the newsletter in MailChimp, slotting in “Liz’s Letter” and Dobo’s promotion. At this point, all stories that The Hechinger Report has published in the last week are added to the newsletter as links. McHenry takes special care with ordering the links, especially in choosing the first story after Liz’s note. SEND: The final deadline for newsletter updates and information is Tuesday at 1 p.m. McHenry uses MailChimp’s time optimization tool to determine when to send the newsletter—generally no later than 2 p.m. on Tuesday. Is my list big enough? Display ads often aren’t worthwhile unless you have a large enough list to monetize. Though sometimes there are exceptions, we’d typically recommend having a significant list before considering display ads. Unless your email lists are in the hundreds of thousands, it’s unlikely you will break six figures in revenue from display advertising. Do I want to use programmatic ads or sell them myself? Working with an ad tech provider means they will sell and insert programmatic ads into your newsletter based on the reader’s interests and browsing history. These are an easier lift from a staffing perspective, though you do have to add extra code into your newsletters and the ads aren’t always the best quality and you give up a level of control over what ad content your readers will be served. The guide also includes help on the ever-crucial checkpoints of growing an email list, monetizing the product, and measuring the impact and health of the newsletters. See it in full here. POSTED Jan. 16, 2019, 10 a.m.
Schmidt, Christine. "Take these email templates and go build a beautiful (monetized, useful, tested, efficient) newsletter." Nieman Journalism Lab. Nieman Foundation for Journalism at Harvard, 16 Jan. 2019. Web. 24 Apr. 2019. Schmidt, Christine. "Take these email templates and go build a beautiful (monetized, useful, tested, efficient) newsletter." Nieman Journalism Lab. Last modified January 16, 2019. 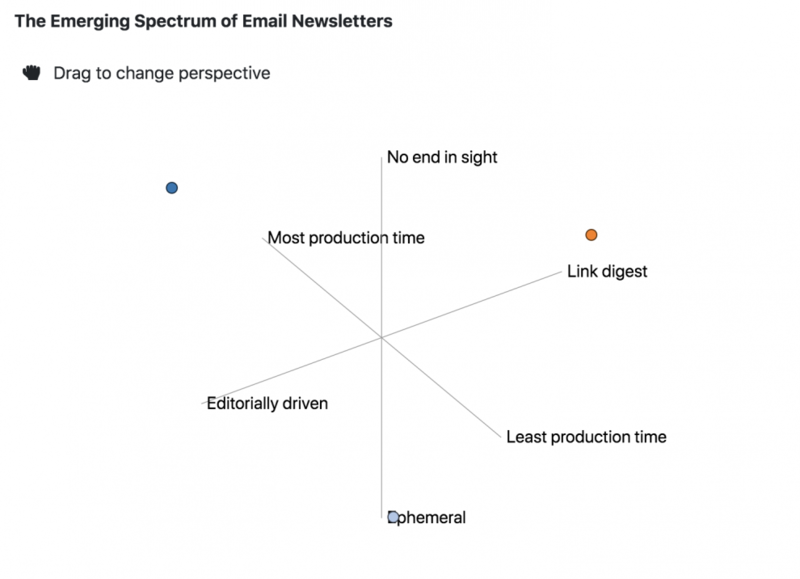 Accessed April 24, 2019. https://www.niemanlab.org/2019/01/take-these-email-templates-and-go-build-a-beautiful-monetized-useful-tested-efficient-newsletter/.